Our Wildlife Hospital cares for over 4,000 wild animals a year, from as many as 200 different species. We provide ongoing care for our patients seven days a week, fifty-two weeks a year with a dedicated team of staff and volunteers. Visit our Patient Stories page for behind-the-scenes look at some of our recent patients. Our goal? 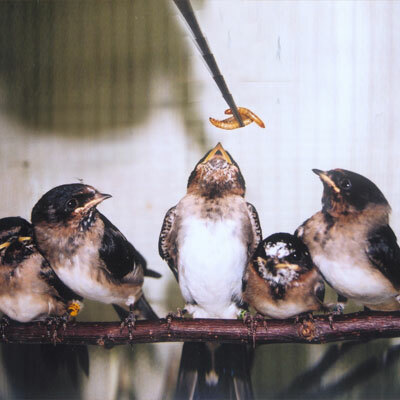 To restore our wild patients to full health so that they may be released safely back to their natural habitats. Our Wildlife Hospital volunteer team includes more than 300 active volunteers all working together to rehabilitate our patients for release. Our volunteers provide the majority of feeding, cleaning and care for all our patients including mammals (such as raccoons and squirrels), water birds (from ducks to pelicans), raptors (such as hawks and owls), reptiles, and hundreds of songbirds such as robins, sparrows, jays and mockingbirds. Volunteers in our wildlife rehabilitation hospital learn species identification, proper handling, hygiene and safety precautions, physical therapy regimens and hand feeding techniques. 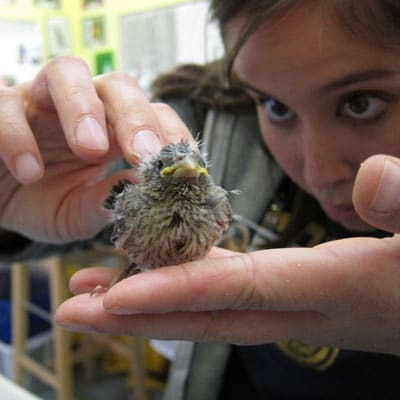 Click for more information on volunteering at WildCare. Highly experienced Wildlife Hospital staff and volunteers provide comprehensive diagnoses and treatments for our patients utilizing x-rays, blood work and more. 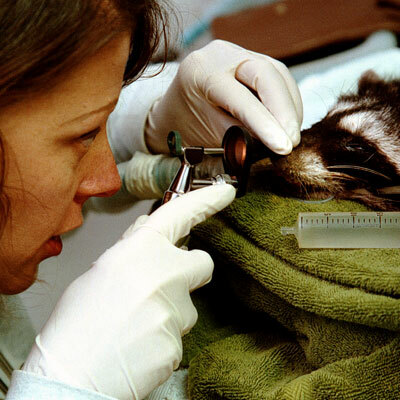 WildCare’s staff veterinarian guides treatments and protocols, and ensures that WildCare’s wildlife patients receive the best possible care. Each of our patients has its own specific dietary requirements – hence our hefty grocery bills – and we work hard to ensure that they are ready and able to fend for themselves when released. How can you help? Become a WildCare Member and ensure the continued care of all our wildlife patients. Visit our Wishlist and make a donation of much-needed items to help feed and care for our many patients. Volunteer in our hospital and give the gift of your time to help injured and orphaned wildlife.